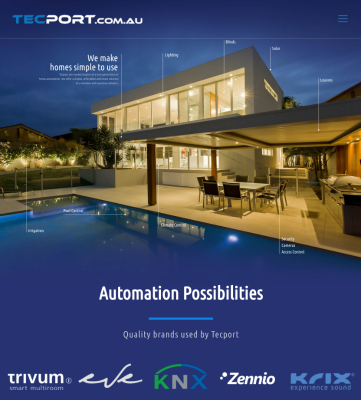 Tecport uses KNX-based technology, the world-wide standard for home and building control, supported by over 450 manufacturers. The majority of home automation systems are proprietary, locking you into a single manufacturer, limiting the level of integration, product development, equipment pricing and support. Consider if your vendor was to cease manufacturing the system that you've invested in? Could you be lumped with an investment of unsupported technology? We provide fully scalable automation solutions with a high level of integration resulting in energy cost savings & convenience.